Plus, as the host, you can fill in what's needed. This way you won't have to spend a lot of money when you don't have to! 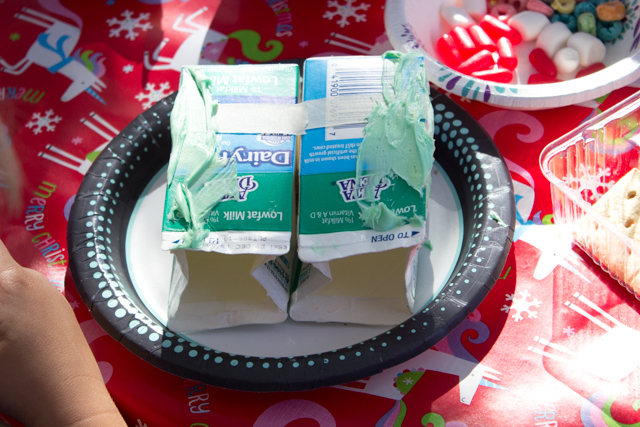 If you're anti-mess.... or you have a small home, host your party at a local park! We had about 40 people attend, so the park was a great place for everyone to fit. Plus, once kids finished they could just go and play on the playground. 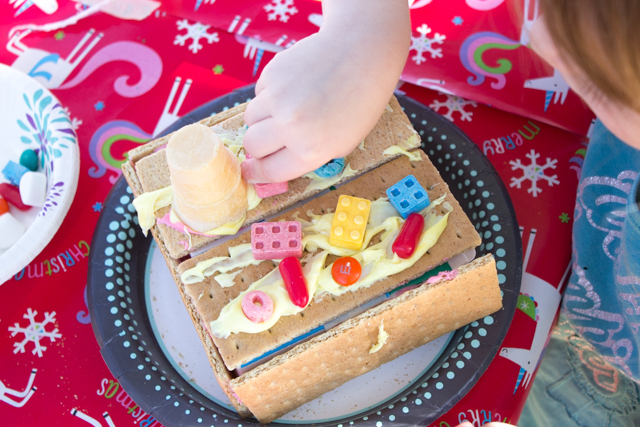 Let's Make Graham Cracker Houses! 1. Wrap your tables with wrapping paper. 2. 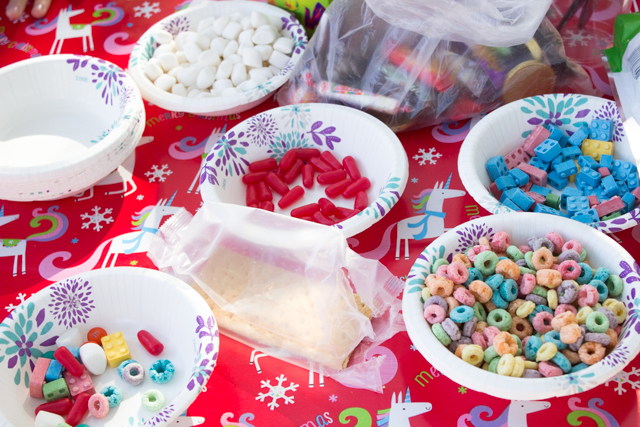 Set up an area for the candy/toppings and graham crackers. Let people know they can select what they want! 3. At another table, put out your dyed icing and sprinkles. (Kids can help with the dying!) Then, have them build at this table. 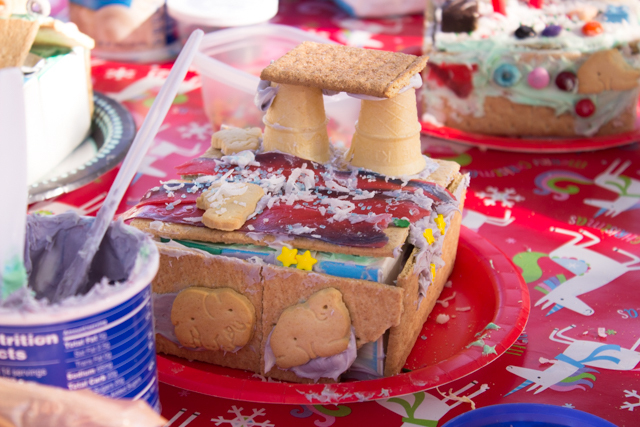 Kids can choose to build with just edible items, or they can use milk cartons as a base for their houses. 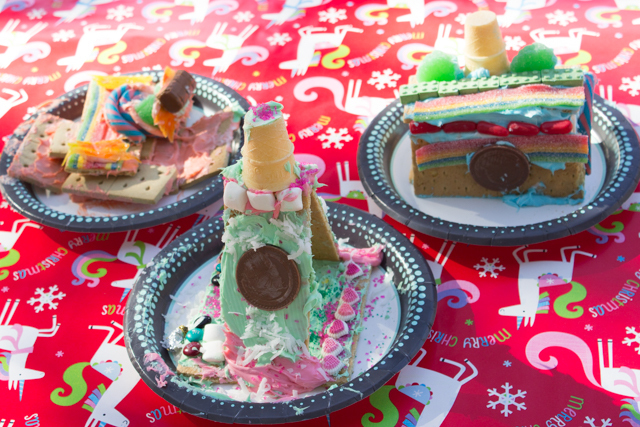 Simply attach crackers on with icing! 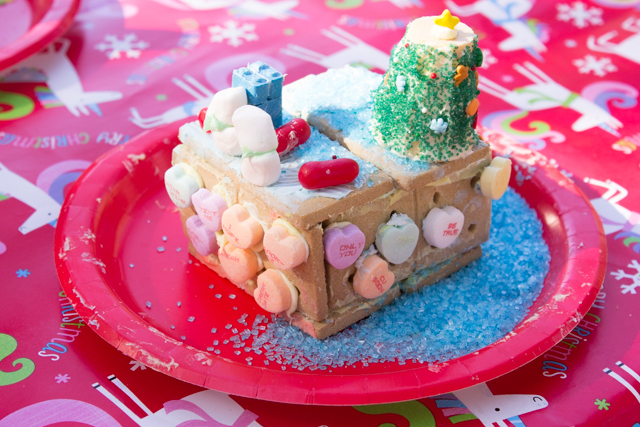 Once houses are built, have fun decorating! Ok, that's all! 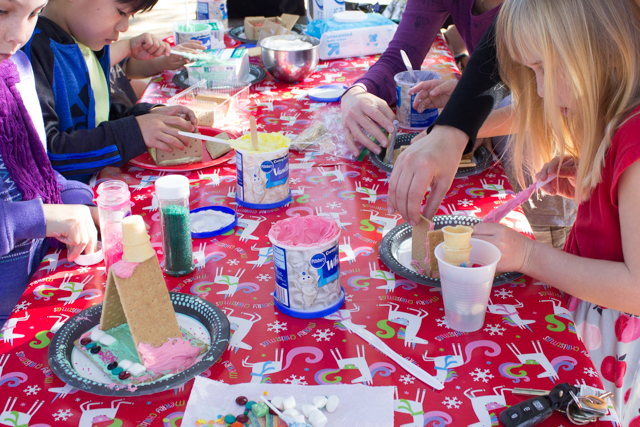 I hope that this post inspires you to create something with the kiddos! 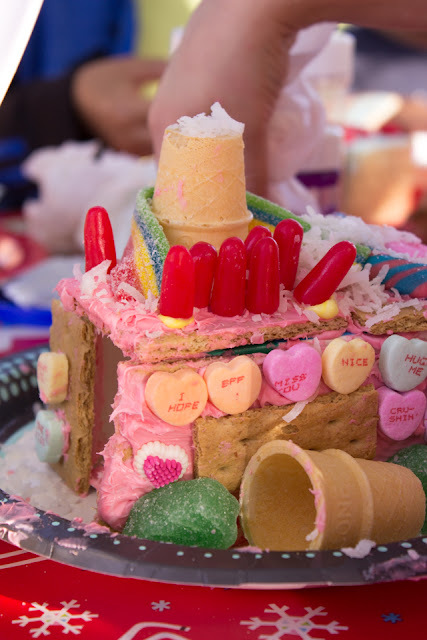 More Sweet Candy-Themed Kid Projects!